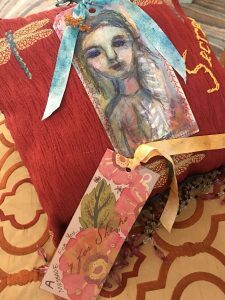 My Art Pillow is featured in June Summer 2017 Sew Sommerset of Stampington Press Magazines. 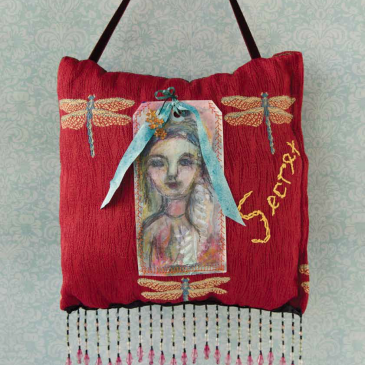 “The Secret of Pillows” Art Pillow created by Trish Vernazza! Check out the press here. Inspired by my fascination by the Tudor reign, in which noble women created these pillows for the kings and queens. Often times they contained secret notes. 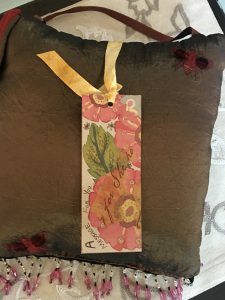 This one includes a secret handmade bookmark hidden next to the dragonfly.